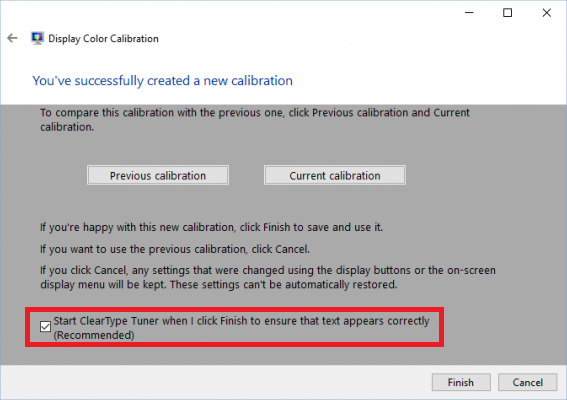 In today's post we'll look at yet another way to bypass UAC using the Display Color Calibration tool, hereafter referred to as "DCCW". Being inspired by Matt Nelson, I decided to have a closer look as to how and why this may be a UAC bypass. What follows below is purely a Proof of Concept, as you would already need to have compromised the machine (or bypassed UAC, or let the user allow) in order to execute this. This has been tested on: Windows 10 and Windows 8.1 x64 and x86. User has to be member of the local administrator group. UAC is ... already disabled, or at a low setting, or the user confirmed the UAC prompt. DCCW is a Microsoft signed binary and will auto-elevate itself due to its manifest. 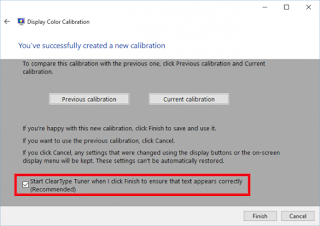 "Start ClearType Tuner when I click Finish to ensure that text appears correctly (Recommended)"
Image File Execution Options (IFEO) has several uses, and can for example be used to prevent a program from starting, For example, in the past, malware has abused IFEO to hijack processes of antivirus programs, so they would not be able to start. You can try extending the PowerShell script below, by simulating mouse clicks or button presses in PowerShell - effectively impersonating the user. If I made any mistake(s) in the script, please do let me know! If you like to try new things, then trying to find a UAC bypass can definitely prove to be a challenge and fun! While my story here was both successful and not - I found a theoretical UAC bypass, but with limitations, it's still good to go out of your way and do something you're less familiar with. A Windows system, and a C:\Windows\System32 and/or C:\Windows\SysWOW64 folder. Additionally, have a look at the Resources section at the end of this post. Tip: create a separate, default/standard user account for friends and family that may be less technically adept. How do I change the behavior of User Account Control by using Group Policy? and also read about AppLocker, for example to restrict DCCW - there is no point in someone running this binary in an organisation. UAC bypasses are an interesting domain: while Microsoft seems to take a 'lighter' approach in regards to these specific bypasses, it doesn't mean they aren't being looked at. For example, latest releases of Windows 10 fix several UAC bypasses. Keep in mind that UAC bypasses are definitely out there in the wild - not only by pentesters, but also by attackers, whether cybercrime or APTs.